Microsoft Visual Studio 2017 Release Candidate build 26127.00 is now available. The integrated development environment (IDE) offers various improvements and enhancements over previous versions, included an increased focus on mobile cross-platform development. Check out what’s new in this build. .NET Core tooling is now automatically included in “ASP.NET and web development” workload and an optional component in “.NET desktop development” workload in the installer. It is also available as a workload called “.NET Core cross-platform development” under “Other toolsets” section in the installer. We have fixed several bugs and usability issues for .NET Core and ASP.NET Core tooling. The csproj project format has been simplified and project migration from project.json/xproj to csproj is much more reliable. More details are listed below and also explained in .NET blog. ASP.NET Core 1.1.1 addresses a security issue, please see this MSDN article for more details. With this release, NuGet has extended support for managing packages using PackageReference to WPF, WindowsForms, and UWP projects. In addition, we have improved NuGet restore support for Lightweight Solution Restore. Restores can now be performed without needing to load any projects. With this release, it is now easier and faster to set up your Team Explorer connections. Not only is it easier to find the projects and repos to which you want to connect, but you can also add multiple projects from different servers to the Team Explorer Connect page at once. When you launch the dialog to connect to VSTS and TFS, you will see the redesigned UX. You will see any TFS servers you’ve added followed by all VSTS servers, projects, and repos for your selected user account. The results are listed in a tree to allow for improved navigation. You can connect to collections or projects in addition to repos. For more information, see Connect to Team Projects. To extend Visual Studio 2017 DevOps capabilities to SQL database development, Redgate SQL Search and Redgate ReadyRoll are now available in the Data Storage and Processing workload. Redgate ReadyRoll, included with Visual Studio Enterprise 2017, helps you develop and source control migration scripts, and safely automate deployments of SQL Server database changes alongside applications changes. Redgate SQL Search, included with all editions of Visual Studio 2017, helps increase your database development productivity. Updated .NET Core and ASP.NET Core – No longer a preview workload. Fixed several bugs and improved usability of .NET Core and ASP.NET Core tooling. Project migration from project.json/xproj to csproj is much more reliable. Redgate ReadyRoll and SQL Search – To extend DevOps capabilities to SQL database development, Visual Studio 2017 now includes Redgate SQL Search and Redgate ReadyRoll. Updated NuGet support for PackageReference – In addition to .NETCore, packages can now be managed using package references in WPF, WindowsForms, and UWP projects. Updated Team Explorer connect experience – It is now easier to find the projects and repos to which you want to connect. You can also add multiple projects from different servers to the Team Explorer Connect page at once. Advanced Save Options – We’ve brought back the Advanced Save Options command based on customer feedback. You now have the ability to add it to the File Menu again. Performance improvement in STL (move constructor). Several fixes and optimizations in ATL and AMP. New header for Control Flow Guard in VC Runtime. Mobile development with the .NET workload continues to be at Preview level for this release. Removed the Data Science and Python Development workloads as some of the components weren’t meeting the release requirements, such as translation to non-English languages. They will be available soon as separate downloads. 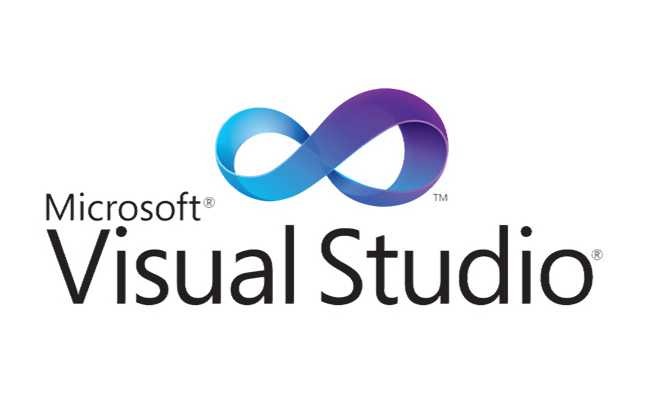 F# is still available in the .NET Desktop and .NET Web development workloads. Upgrading to current version will remove any previously installed Python and Data Science workloads/components. Removed ADAL v2 to v3 Redirect – VS2017 RC had a binding redirect from ADAL v2 to ADAL v3. This redirect has been removed in the latest refresh. Publish to Team Services results in “Value cannot be null. Parameter name: sessionToken” error. Add ASP.NET MVC 4 support to Visual Studio 2017. Setup Operation Failed when installing Win10SDK_10.0.14393.33. Files in TextMate-supported languages may lose colorization or fail to open when updating from Visual Studio “15” previews. Connected Services cannot be added to VB projects. Cannot add an account on Arabic (Saudi Arabia). Domain dropdown empty for O365 and Azure AD Authentication Connected Services. Incorrect EULA shown for Chinese Traditional SKUs in the Bootstrapper. Incorrect EULA presented for certain KOR SKUs. Visual Studio Installer Hangs when installing certain workloads on Windows 7. Installing offline requires internet connection for downloading security certificates. After installing Test Pro and Visual Studio, Visual Studio may not be able to launch using the start menu. Only one Visual Studio start menu item is available even after installing more than one Visual Studio. Delayed Shutdown of Visual Studio. Projects with empty configurations will become unresponsive if Lightweight Solution load is enabled. Build is skipped if project file does not exist on disk. C++ project build may be skipped if project dependencies have changed. False errors in Visual Basic Projects. NuGet packages are not restored on build on Lightweight Solution Load.